A corporate trainer in one of my client organizations is gung-ho on the Zappos culture and she is convinced that what her contact center needs is agents trained to make small talk with customers and empowerment so agents can consistently deliver wow experiences – “Just like Zappos does,” she says. Now, I love what Zappos has done. I have delivered many a keynote and webinar on the Zappos culture. Zappos is the best at the customer experience, bar none. So understand me when I say this: I respect Zappos. But the Zappos culture will not work for anybody but Zappos. Instead of trying to clone Zappos, I asked to listen to a random sample of calls from this call center. Here’s what I summed up on my legal pad after my call review. There was a lot of over-talking and interrupting. Employees would literally cut customers off mid-sentence or just over-talk them to make sure their point was made. That made me cringe. Dead-air space wasn’t handled well. While employees were busy looking through notes or trying to find something on the computer, they just let the customer hang on. I could hear keys clicking, gum smacking and occasional sighs, but there was almost no verbal communication during the dead-air space. The worst part of the calls for me was that there was no personal connection. Customers would often go right into their issue and then the agent would say something like this: “What’s your claim number?” There was no acknowledgment of the customer’s frustration, no “I’m happy to help you with this,” They just went into probing. At times I felt like the customer was made to feel stupid. It was like the customer was asking dumb questions. Employees would come back harsh or condescending. With my help, agents will learn to deliver a warm, friendly customer experience that reflects their brand voice – and my corporate trainer friend can feel great about bringing out the best of her own people and company. Is Your Company In Need of a Customer Service Intervention? When you enroll your employees in the online version of my “customer service intervention” training, imagine the benefits you’ll receive. Employees who struggle with apathy, rudeness or harshness will get the empathy training, telephone skills, and human relations skills they need and they will soften and deliver a better customer experience – without having to try to copy the amazing Zappos. You can get these benefits and more – without having to buy my plane ticket, foot my hotel bill and pay my full-day training fee. 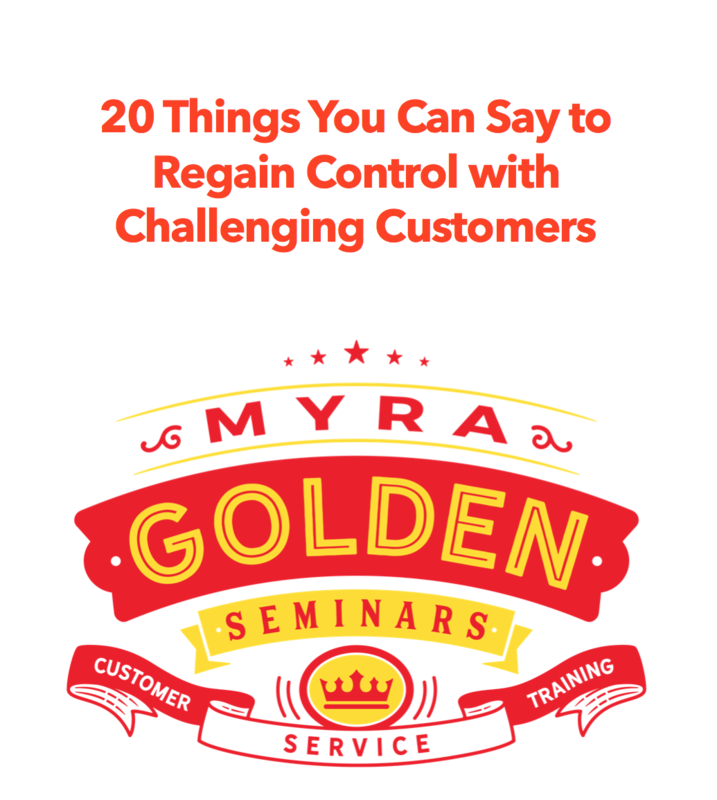 Check out my Customer Service eLearning.